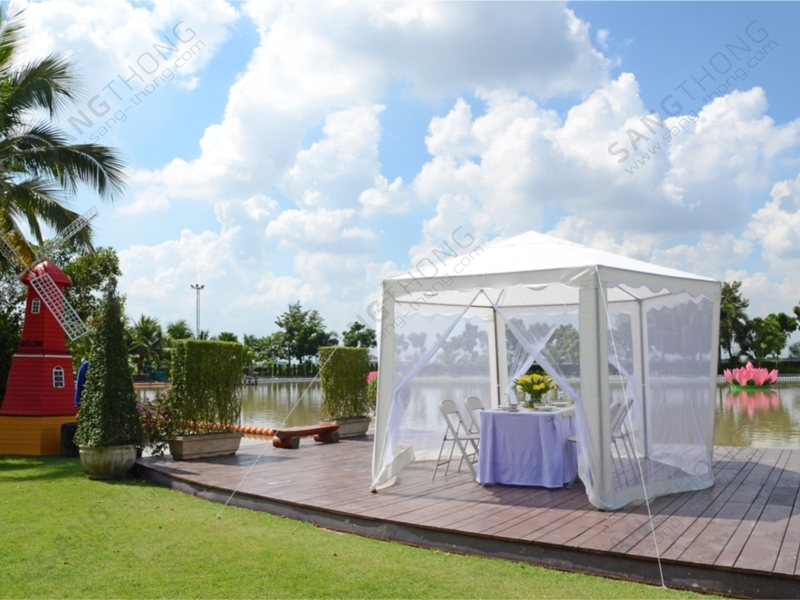 Ready-to-use Tent 2 x 2 M.
This foldable tent is 2 x 2 m, produced from dark silver iron structure. It is powder coated and covered by Oxford 420D. *Include carrying bag for convenient in setting up and mobilization. Ready-to-use Tent 3 x 3 M.
This foldable tent is 3 x 3 M, produced from dark silver iron structure. It is powder coated and covered by Oxford 420D. Foldable tent with dimension of 3.80 m x 3.30 width x 2.50 height. Each of the 6 openings is 1.90 m wide and 2.00 m high. It is produced from black iron structure and powder coated with Polyester 160 q cover. PA coating with net and zip on both entrances.